From The Omen‘s Mrs. Baylock to Rocky Horror Picture Show‘s domestic and handyman, you’ll find questionable help aplenty in horror (and not quite horror). Chan Wook Park’s The Handmaiden explored the dual sized anxiety of having a stranger living in your house – or being the stranger living in someone else’s house. Good horror directors know how to pick that scab, because having a stranger inside the household is unnerving, but being that stranger can be even worse. Going home again can be a drag, but it proves especially tough for January (Amy Manson) in director Adam Levins’s Estranged. Recovering from a near-fatal accident, she’s wheelchair-bound and stricken with amnesia. Even so, something feels completely wrong about the stately mansion and doting family she returns to for her recovery. Estranged pulls you slowly through the twisty mystery of January’s recuperation and the unusual family she’s found herself a part of. So much of what Levins is working with could easily feel stale – amnesia? Wheelchair-bound invalid in a spooky, isolated manor? There’s even a butler in full gear. All you need are Scooby and the Mystery Machine and we’d have some real sleuthing on our hands. The film offers an appealing blend of familiar and novel, repellent and elegant – forever playing with the idea that there is something foul and festering beneath the surface of this lovely home. His eye for detail and his cast’s natural ability help pull the whole ordeal together into a satisfying, if understandably unpleasant, product. Writer/director Osgood Perkins (Blackcoat’s Daughter) spins an effective ghost story with this one. Lily (Ruth Wilson) has been hired to nurse famous New England author Iris Blum during her final months. Blum made her name writing spooky books Lily’s too afraid to open, and she regularly mistakes Lily for someone named Polly. Polly is the main character in Blum’s most famous novel, about a beautiful bride who dies in an old New England home – not unlike the home Lily now finds herself rattling around with no company but the bedridden and mainly catatonic old woman. A feat of atmosphere, very smartly written and quietly observed, the film generates tension early and builds on it masterfully for the full 87 minutes. Old fashioned but never dated, it’s a throw-back spook fest that can’t help but pull you in. Co-writer/director Alejandro Amenabar casts a spell that recalls The Innocents in his 2001 ghost story The Others. It’s 1945 on a small isle off Britain, and the brittle mistress of the house (Nicole Kidman) wakes screaming. She has reason to be weary. Her husband has still not returned from the war, her servants have up and vanished, and her two children, Anna and Nicholas, have a deathly photosensitivity: sunlight or bright light could kill them. The new servants seem to understand their roles – maybe too well. 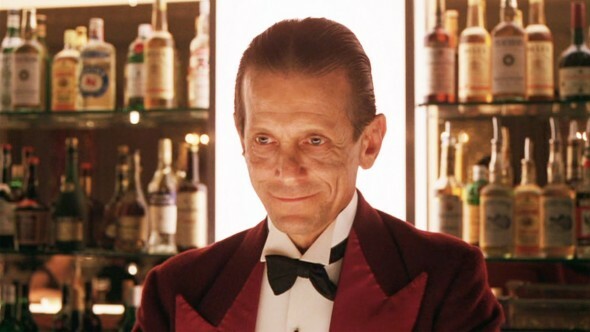 You know who you probably shouldn’t hire to look after your hotel? A study in atmospheric tension, Kubrick’s vision of the Torrance family collapse at the Overlook Hotel is both visually and aurally meticulous. It opens with that stunning helicopter shot, following Jack Torrance’s little yellow Beetle up the mountainside, the ominous score announcing a foreboding that the film never shakes. The hypnotic, innocent sound of Danny Torrance’s Big Wheel against the weirdly phallic patterns of the hotel carpet tells so much – about the size of the place, about the monotony of the existence, about hidden perversity. The sound is so lulling that its abrupt ceasing becomes a signal of spookiness afoot. Nicholson outdoes himself. His early, veiled contempt blossoms into pure homicidal mania, and there’s something so wonderful about watching Nicholson slowly lose his mind. Between writer’s block, isolation, ghosts, alcohol withdrawal, midlife crisis, and “a momentary loss of muscular coordination,” the playfully sadistic creature lurking inside this husband and father emerges. He’s not the caretaker management expected, but really, was Grady? Like Grady and Lloyd the bartender, Jack Torrance is a fixture here at the Overlook. Little Miles and Flora – orphaned nephew and niece of a selfish London bachelor – need a new governess. Uncle hires the clearly brittle Miss Giddens (Deborah Kerr) based on her letter confessing that more than anything, she loves children. When white Rose (Alison Williams) takes her black boyfriend Chris (Daniel Kaluuya) home to meet the fam, she assures him race will not be a problem. How can she be sure? Because her Dad (Bradley Whitford) would have voted for Obama’s third term “if he could.” It’s the first of many B.S. alerts for writer/director Jordan Peele, and they only get more satisfying. Rose’s family is overly polite at first, but then mom Missy (Catherine Keener) starts acting evasive and brother Jeremy (Caleb Landry Jones) gets a bit threatening, while the gardener and the maid (Marcus Henderson and Betty Gabriel, both black – whaaat?) appear straight outta Stepford. Get Out is an audacious first feature for Jordan Peele, a film that never stops entertaining as it consistently pays off the bets it is unafraid to make.